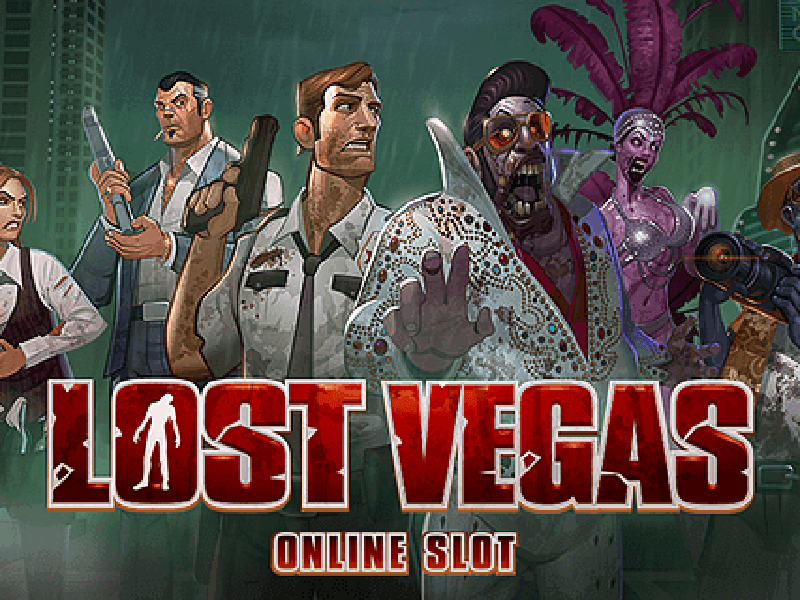 If you are into zombie-theme, then Lost Vegas is definitely going to be your thing. This video slot with dark, scary background comes with 243 paylines and 5 reels. With unbeatable music and great graphics, Microgaming leaves no stones unturned to transform this casino game into a stunning experience for gamers. There are certain features which help Lost Vegas stand out of the other slots in line. You can play it on both mobile and desktop. Gamers can enjoy the free version and also indulge into other Microgaming casinos for a cash prize. Dual Modes: The best thing is its dual player You can play either as a Survivor or a Zombie. You get to choose that. The gamer can switch between the modes anytime. Coins and Bets: To play Lost Vegas for real money, the minimum size of coin available is 0.01 which goes to the maximum of 0.10. The total number of coins varies from one to 15 in each payline. The Wild and Scatter: The logo of ‘Lost Vegas’ acts as the wild symbol, whereas the Hazard is the scatter sign here. With three or more scatter cards in a line, one can win various free spin rounds too. Free Spins: Yes, there are various free spins available in the slot, including two special free spin rounds. Apart from that, if you can really push yourself to fifty free spins, get ready to be pampered with extra cash! Lost Vegas casino is a bit peculiar as it has two modes, and both having their own completely different bonus rounds. In total, there are four bonus rounds. Let’s understand how they have been laid out in the slot. The Two Base Bonuses: It’s quite simple actually. The two rounds are initiated on a random basis, just after the non-winning spin. They are common in both the base games. What appears first is the fist of zombie that holds cash. Second, comes the blackout bonus which will also bring money. The only difference being, it will be accompanied with a hazard sign. This hazard sign will decide whether you would be playing in the survivor or zombie mode. The Survivor Bonus: If you get to play Lost Vegas slot machine online, in survivor mode, wait for three or more hazards to appear. This will set off the free survivor spin session. It leads all low-value cards to stash and converts them to cash. The Zombie Bonus: Similarly, 3 or more scatters will get going the free zombie spin round. What’s more on this casino online! Look out for full zombie stacks, and watch the single wilds changing into stacked wilds. Lost Vegas by Microgaming is a treat to gamers for so many reasons. You get to enjoy the black comic video for multiple bonuses, get pampered with free spins and win a jackpot of generous cash. The game has a style of its own and presents offers that are really hard to turn down. An RTP of 95%-96% proving that Lost Vegas carries a high entertainment value and fun is a sure shot thing here. So, brace yourself and get ready to indulge with the dead-walkers and find out which side you are on! 0 responses to "Lost Vegas Slot"